Plaid, Faux Fur and a Space Dog! Wiggling around in a Unique Vintage dress with some accessories you may recognise from my last blog post! 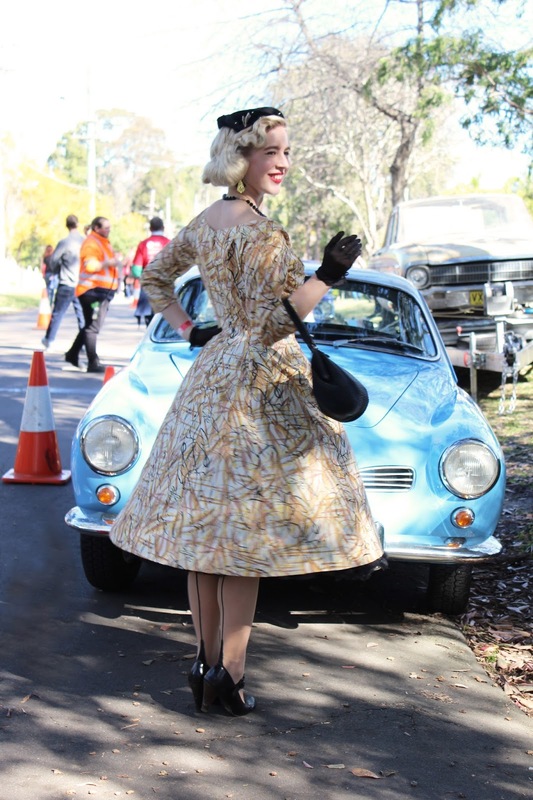 The sun was shining, the classic car arrived and everyone was out in there best vintage get up for the Fifties Fair at Rose Seidler House, Wahroonga! Another winter outfit and a 50's style jacket, that is such a classic piece! Afternoon sun is one of my favourite parts of winter and when I'm surrounded by nature with my dogs it is such a peaceful way to end the day. Yesterday I wore yet another pink and blue pastel combination, this time with a 60's twist - Also wearing a brooch from the new Erstwilder Goes Galactic range! I'm always happy to welcome new nautical outfits and jumpsuits into my wardrobe, this one is another winner for me!